The way leading to Mariscal Canyon covers a lot of desert. However, there really isn’t a trail - only rock cairns that lead the way up this remote area of Big Bend National Park. 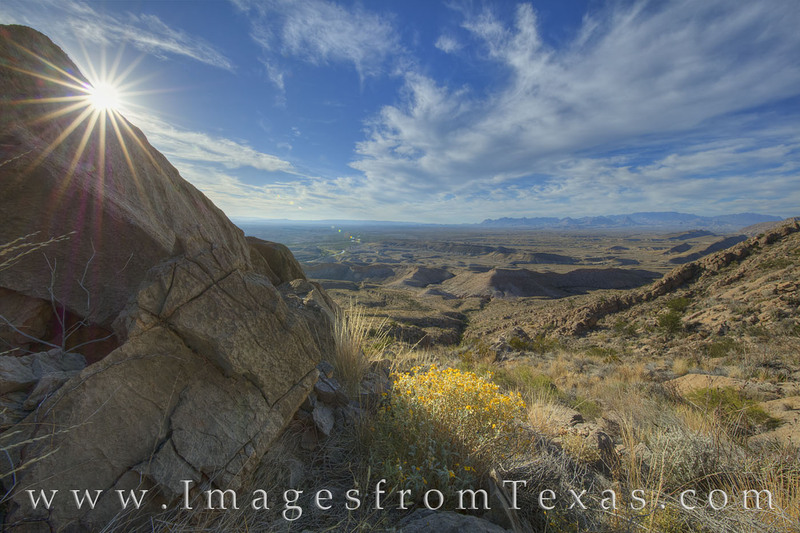 Late in the afternoon, I paused to capture this landscape view of the Chihuahuan Desert and distant Rio Grande. Further south is Mexico. Photo © copyright by Rob Greebon.